An adorable board book with finger puppets based on a book featured in the animated movie, Despicable Me, coming from Universal Studios in Summer 2010. 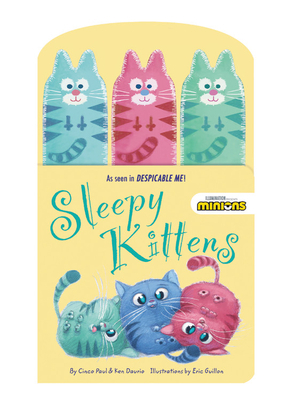 With gentle, rhythmic verse, little ones will love to snuggle up with these soft, cozy kitties at bedtime. We are doing this tie-in program with Universal Pictures.